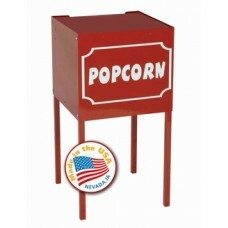 Thrifty Pop red popcorn machine stand provides easier access to supplies and better merchandising. 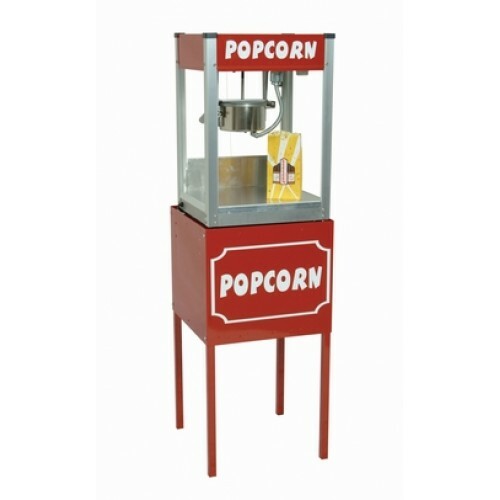 Commercial grade steel construction. 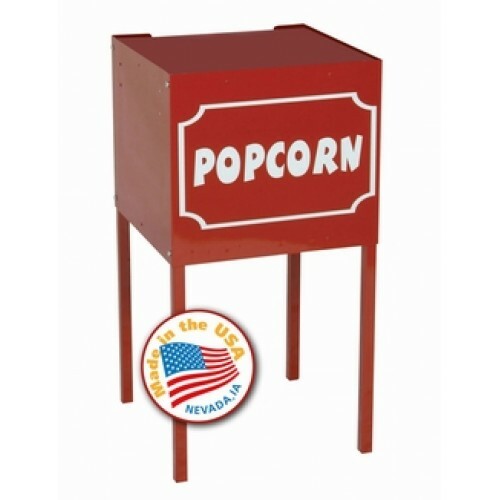 4 oz Popcorn Popper Stand ONLY - Actual Dimensions: 17" x 34" x 30"
8 oz Popcorn Popper Stand ONLY - Actual Dimensions: 17" x 38" x 30"